For clarification: a rep or repetition is one lift done start to finish. A set is the number of repetitions done. So a set is really just a group of reps. 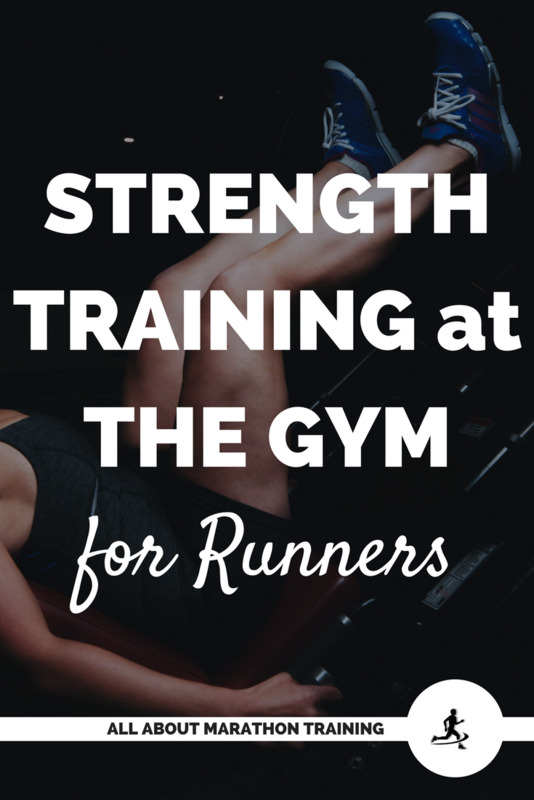 The good news is that as a runner you do not have to do strength training often in order to see results. Doing your strength training program at least 2-3 times a week is plenty for reaping the benefits especially since your main focus should be on your running. If you plan on doing a run on the same day as your strength training for runners it is best to do your run first especially if it is an important run. Your body is more efficient and less tired at the beginning so it is best to do the most important thing first and as a marathoner that would be your run. You can schedule to do your weight session right after or several hours after depending on how you are feeling. 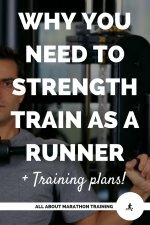 That being said the first couple of times you do this strength training for runners program you may want to start with your strengthening instead of your run. This is so that you can really focus on your form and technique instead of the fact that you are tired from running. It will help you to learn the moves properly and thereby prevent injury. 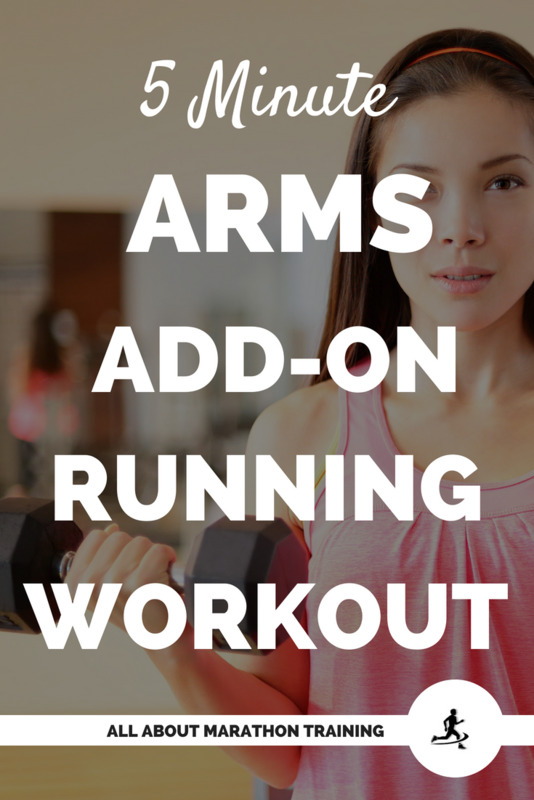 After you have it down switch to doing your runs first. I do not recommend doing your strength workout on the same day you do a speed, tempo or long run workout. Your body is already being taxed enough on those hard run days and the added stress of strengthening can bring it to injury. Play it smart! 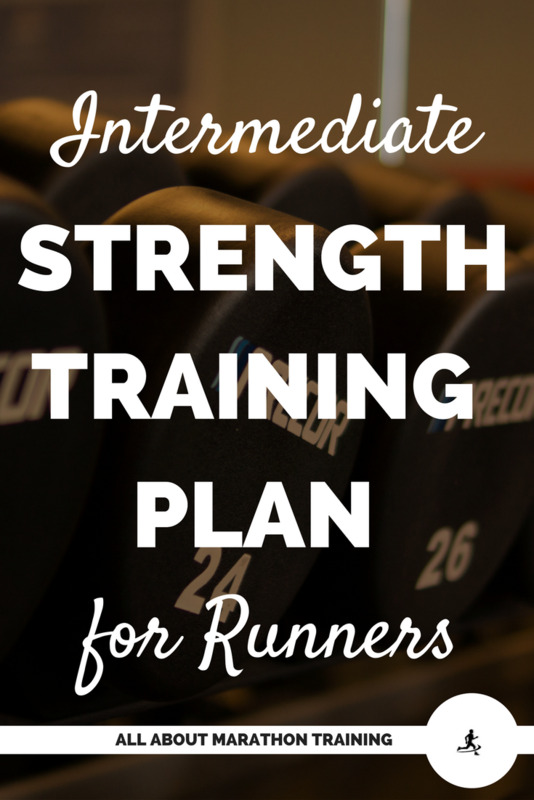 A lot of these strength training for runners exercises are typically done with weights. However as a beginner start without the weights to get used to the form. Then, when ready progress, to the Intermediate Plan that includes weights. If you must add weights start with 1-5 lbs. This is plenty for a beginner and remember the goal here is muscle endurance- you're a marathon runner! Mix up your routine! Do a couple different exercises (approximately 6-8) on each strength day. Without weights: 15-20+ reps. @ 2-3 sets; Rest 15-60 seconds between each set. With weights: 12-15 reps @2-3 sets; Rest 15-90 seconds between each set. Harder moves: start with as many as you can do and build from there. 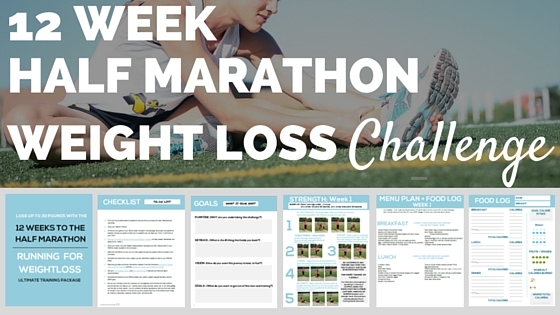 Also, if you are looking for specific workouts and your goal is to lose weight the 12 Week Half Marathon Weight Loss Challenge includes 12 different sets of strength workouts sent to you each week! Pictures and explanations on how to do each of these are coming soon! 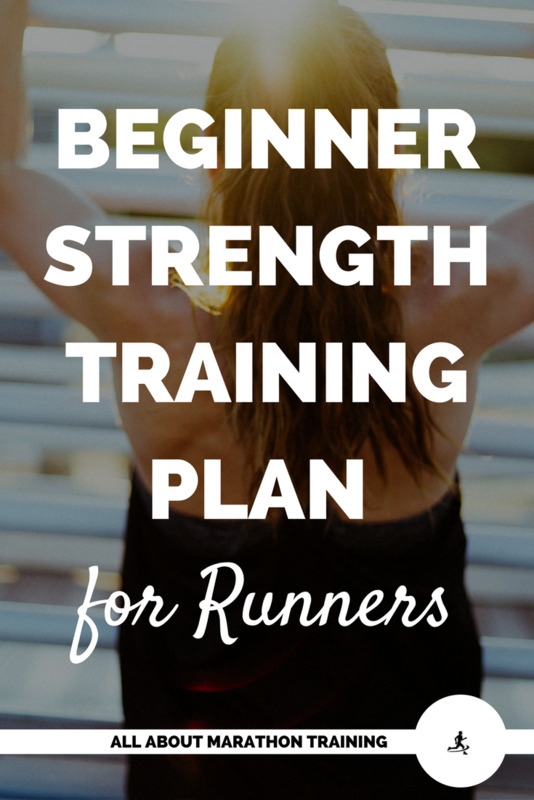 Enjoy your beginner's strength training for runners workouts!